Clifton Latiolais was born in Chicago, Illinois in 1953. After moving to Ohio, he studied music and political science in college while working as a professional musician and educator. While in law school, he was a member of the National Moot Court Team. Clif moved to Colorado in 1984, and after practicing for 11 years with a Denver insurance defense firm, became a founding shareholder of the Firm. 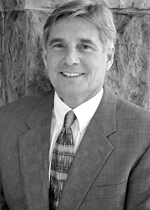 He has served as a faculty member with the National Institute of Trial Advocacy, and has given numerous lectures and presentations to insurance companies, clients, claims associations and professional organizations on Colorado substantive and procedural law, claims handling practices, litigation strategies, trial practice and procedure. Clif maintains a general civil litigation practice emphasizing insurance defense matters, including defense of carriers on first party claims and class actions, declaratory judgment actions, defense of policyholders in cases involving construction defects, auto accidents, products liability, professional malpractice and premises liability. He has participated in over 90 jury and bench trials and appeared before all courts in Colorado, the United States District Court for the District of Colorado, and the United States Court of Appeals for the Tenth Circuit. Bad faith lawsuit filed by homeowners who, after losing their home to the Fourmile Canyon Fire in Boulder County, claimed they were underinsured and unable to replace their property. Plaintiffs sued their agent and her agency, alleging negligence in placing coverage, and seeking reformation to increase the policy limits. They sued their insurer for common law bad faith, statutory bad faith, and equitable reformation. Damages sought were approximately $2,000,000. The jury returned a verdict in favor of the agent and her agency on all claims, and in favor of the insurer on all claims except one – failure to follow company policies concerning reformation. The total jury verdict was $100,000. Plaintiffs, whose home sustained smoke, soot, and heat damage in the Waldo Canyon fire, sued their insurer for breach of contract and bad faith, claiming the company failed to properly adjust their loss or adequately compensate them for their damages. At trial, Plaintiffs sought contents and dwelling contract damages in excess of $290,000, treble damages and attorney fees. Prior to trial, the Court dismissed the Plaintiffs’ common law bad faith claim. The jury returned a verdict of $36, 496 for property damage, and a defense verdict on the statutory bad faith claims. Following a collision on a ski slope, Plaintiff sued for injuries including a 4-level thoracic burst fracture requiring decompression and fusion, permanent disability and various economic losses. Our client admitted fault, but argued comparative negligence. At trial, Plaintiff called two medical experts and an accident reconstruction expert. Plaintiff requested $2.2 million in closing argument. The jury returned a verdict of $1 million, but apportioned liability at 50-50, resulting in a defense verdict. Plaintiff sued our client for personal injuries which she claims to have sustained when a cement chute flew off of client’s cement mixing truck travelling down the highway and struck the windshield of Plaintiff’s car. Admitted liability. Plaintiff claimed $135,000 in past medical expenses, $300,000 plus in future medical expenses and $190,000 in earnings loss, and asked for over $2,000,000 in trial. The jury awarded total damages of $175,000. Plaintiffs sued their insurer for breach of contract and bad faith in its handling of a property loss claim arising out of the Waldo Canyon fire. The home adjacent to the Plaintiffs’ home burned to the ground, and Plaintiffs sought claimed sought contents and dwelling losses in excess of $150,000, treble damages and attorney fees. The jury returned a total defense verdict for American Family. The Colorado Court of Appeals affirmed the trial court’s ruling that an insurance company is not required to include prejudgment interest when evaluating or settling a claim for uninsured motorist benefits. In so doing, it confirmed that the prejudgment interest statute governs the entitlement to, and timing of, recovery of interest. Plaintiff sued to recover for personal injuries and future wage losses resulting from a low speed rear end accident on I-25 in Denver. He alleged a permanent brain injury and chronic cervical orthopedic injuries. Our client admitted fault in the accident, but disputed the claimed injuries and losses. At trial, the Plaintiff introduced expert testimony from an orthopedic surgeon, a neuropsychologist, an accident reconstructionist and biomechanical engineer, as well as an economist. He requested the jury award $2 million in damages for his losses. Following a five- day jury trial, the jurors awarded zero damages to the Plaintiff.